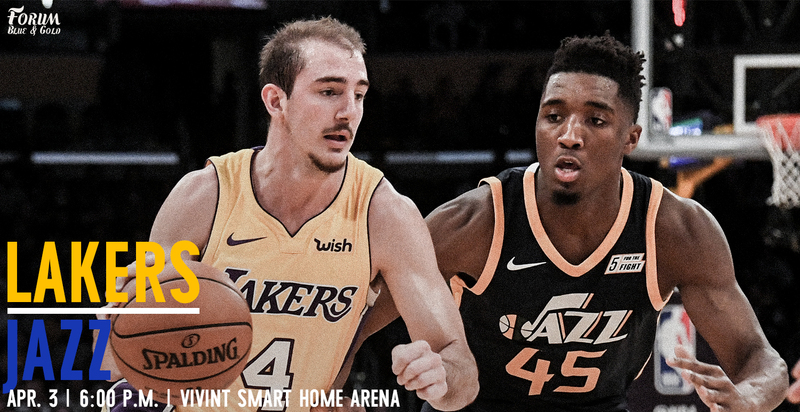 The Lakers are looking to turn things around tonight against a hot Utah team. Los Angeles (3-7) and Utah (7-3) have been trending in opposite directions recently, but will both finish their regular seasons with lots to be happy about. A performance similar to what the Lakers brought to the court Sunday won’t do it. In that game, LA’s shooters struggled to shoot the ball, which was a bad combination with missing Lonzo Ball and Brandon Ingram. Julius Randle didn’t add much as a playmaker, which was one area we had been looking out for. Zero assists, one pass out and no points from his combined 10 post up, isolation, and pick and roll ball handler possessions. He’ll need to step it up against Utah for the Lakers to have a chance. Without several key players, the team went to a 9-man rotation. The bench unit didn’t interchange with the starters much. There was never more than one non-starter playing with the starting group, other than when Julius Randle picked up his third foul in the second quarter. Alex Caruso and Tyler Ennis split point guard duties, subbing in and out for the game. Kentavious Caldwell-Pope and Josh Hart split shooting guard duties and also played some minutes at the 3, giving Kyle Kuzma (who played 39 minutes) some occasional rest. Ivica Zubac and Channing Frye added minutes as bigs. Tonight’s opponent boasts a rookie of the year candidate and the 3rd best defensive rating of all teams. Donovan Mitchell is one of only six rookies to be scoring more points per game than expected, based on their possession distribution and volume. Defense is a team game, but Mitchell will likely spend some time opposite of proud Villanova alumnus, Josh hart, who is another of those six rookies scoring more than expected (can you name the other four?). Hart’s return to play Sunday after missing a month was much needed. He was a little rust from long range (shot 1/5), but his 13 point and 13 rebound game was about as Josh Hart as it gets. Mitchell is having a fantastic season for a rookie guard. He’s nearly average across the board in play types (this is a compliment), and is already near the top of the league as a spot up scorer. He’s sixth in efficiency of the 84 players who have at least three spot up possessions per game, and is great catching and shooting, pulling up, and getting to the rim. His ability to add lots of value in one area and be about average everywhere else is about all you can ask a rookie guard. He’ll be a player to watch. He has ups and downs, like all rookies. On his ups, he’s electric. On his downs, he’s still a decent piece in Utah’s offensive system. But it’ll take LA holding his scoring down to win this game. Ideally, Ricky Rubio will be forced to score and LA won’t over rotate and leave great shooters like Joe Ingles or Mitchell open. Rubio has been one of the league’s worst offensive scoring players by impact compared to expectation, and will be matched up with Alex Caruso, who has actually had a defensive points over expectation value better than 90% of the NBA. Even Ennis, who hears quite a bit of distaste from fans, has been close to average. Staying in front of Rubio will be important to slowing down an offense that operates off of a lot of facilitation from him. One area that may play a large role for both teams is transition, an area of usual strength for the Lakers. Los Angeles has the 6th highest turnover percentage on offense and Utah is 7th. Utah’s transition offense typically adds 16 points per game, far lower than the 23 per game LA generates while running. But Utah’s transition attack is the 7th most efficient of any team. With LA missing Lonzo and Ingram, two normal playmakers, and being a high turnover team facing a defense that generates a lot of turnovers (8th most), we might see the fast break game play a larger role than normal for the Jazz. Utah also keeps teams out of transition better than all but Milwaukee, having just 12.4% of their total defensive possessions be in transition. Another area LA can usually get a boost from is their offensive rebounding and putback attack, led by Julius Randle. They match up tonight against the 4th best defensive rebounding team by percentage, likely mitigating those normal extra opportunities. One area, and a player specifically, the Lakers have an advantage with is KCP running off of screens. He is 0-13 on 3-pointers over his last three games, but he’s been about average there on the season overall. This is an area Utah has been dreadful defending, creating an opportunity for LA to make up for less playmaking on the floor by using set plays to hopefully get Caldwell-Pope some easy looks from downtown or create open options from the defense rotating could supplement the rest of the offense. Vegas has Utah by 11. My model has the Lakers only losing by 6.5 or 7, depending on if Lopez plays. 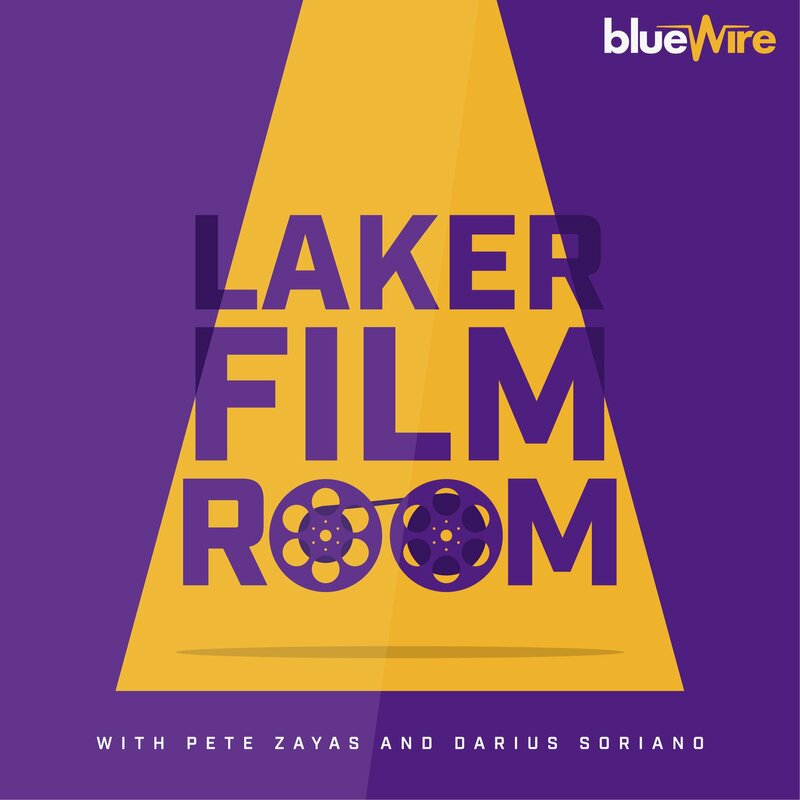 It also projects the Laker offense struggling and Utah’s offense having about an average day at the office, and a final score with both teams in the 90s. Hopefully it’ll be a tight game and we’ll get to see Donovan Mitchell, Kyle Kuzma, and Josh Hart, who all had longer college careers than we typically see, show out. Ultimately, I expect Utah to pull away. But playing a hot playoff team tight while down Ball and Ingram would be a moral victory for LA. Where you can watch: 6:00pm PST start time on Spectrum Sportsnet.